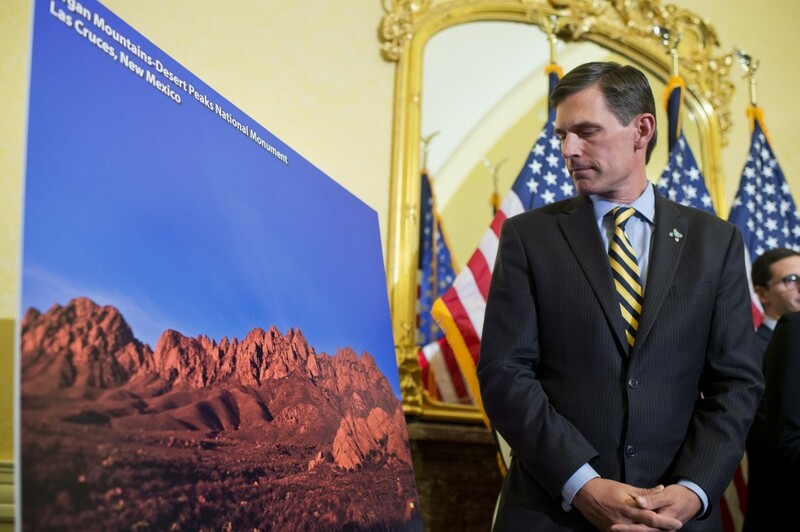 New Mexico Democrat says "There’s no point hunting if you’re not cooking"
In this week’s Take Five, New Mexico Democratic Sen. Martin Heinrich talks about growing up on a cattle ranch, building a water balloon cannon with his sons, and racing a solar car. Q : Where did your love of the outdoors originate? A : I really started when I was a kid. My parents had a small cattle ranch and I’d come home after school and just disappear into the outdoors for hours at a time and then typically bring reptiles and other animals home, which was not always what my mom had in mind. These days, when I get home, if I can squeeze a day in in the mountains — either hunting or fishing or just getting outdoors and hiking — that’s what I try to do. Q : I hear you like to cook. What kind of dishes do you make? A : There’s no point hunting if you’re not cooking. I have a website that is sort of my go-to website for really great restaurant-quality dishes with wild game. It’s called ‘Hunter Angler Gardener Cook.’ On the weekends, whenever the family’s together, I try to cook a couple meals and it’s usually something from that site. Q : When you are home, what do you like to do with your two sons? A : They are 9 and 13. So last weekend, we went to Home Depot and started building a pneumatic water balloon cannon. We got a bunch of PVC (pipe) and a bicycle pump and started putting things together to see if we could build a water balloon cannon. Q : At the University of Missouri, where you studied mechanical engineering, you raced a solar car. What’s the story there? A : So, I was in college in the early 90s. This was like ’92, ’93 and renewables were just starting to take off and there were a few of these challenges. There was a race in Australia, another race that I participated in in the U.S. called ‘Sunrayce 93.’ A bunch of students from my university got together and we designed and built a carbon fiber solar car. So my job was to come up with the suspension for this car and we had a sort of a pre-qualifying round where we got to go to Indianapolis and drive on the Indianapolis 500 speedway and that was the test round. And then they actually had a race several months later from Dallas to Minneapolis. Q : What instruments can you play and have you taught your sons how to play them, too? A : I play a little guitar. I wouldn’t say I’m that proficient, but both my kids have started to pick up [instruments]. Micah, who is the 9-year-old, is starting to pick up electric guitar and goes to School of Rock. And Carter, who is 13, has just picked up the bass and he’s into Nirvana these days.